Rubber Gaskets are widely used in various industries to fill space between two objects and hence prevent the leakage while under compression. These are providing high pressure sealing under static condition. 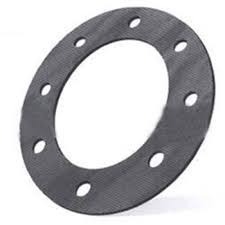 All Gaskets are available in variety of custom shapes and sizes and can be fabricated from customer specified materials. We fabricate supply a wide range of Oil Level Gauge Gaskets that are used in various engineering and automobile industries. We use good quality raw material while manufacturing our range, as it ensures high compressibility & recovery using cork granules. Besides these, the products we offer are available in customized specifications to suit the client's variegated requirements. - The color includes: red, green, white, blue, black, yellow, grey, it is according to the need of the clients. - Material: Made of asbestos Fibre, rubber and heat-resisting packing material, compressing it to thick paper. We hold expertise in manufacturing and exporting oil resisting gasket. This gasket is an indispensable part of an automobile engine. It prevents oil leakage and helps in the smooth functioning of the engine. We use high quality material for manufacturing this gasket in compliance with the industry standards. These gaskets are designed in different sizes for the different kind of engines. Matching up with the requirements of our clients, we are involved in offering Oil Resistant Gasket. High performance gasket material with high temperature resistance, oil resistance & high resilience. Neoprene Binder imparts versatile media resistance properties. Excellent thermal, chemical & mechanical properties. While climbing on the success ladder, it has become increasingly important for us to trade and supply high grade assortment of Oil Industrial Packing Sheets. 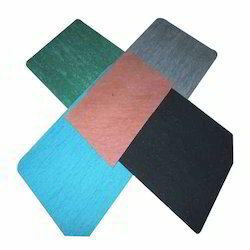 Uses: It is highly used in making gaskets in variable sizes and shapes which are applicable in Oil industries. We are engaged in manufacturing and exporting a wide range of oil resistant gaskets.